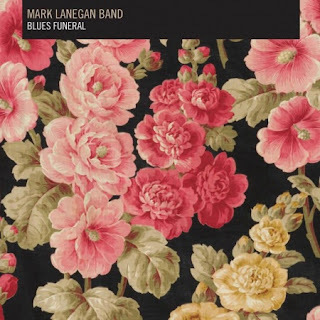 There are no surprises on Mark Lanegan's excellent new solo album, unless you've previously failed to notice that guy from the Screaming Trees quietly becoming one of the best singer-songwriters of his era. There is, it would seem, some justice in the world after all. It can't have always seemed that way for Mark Lanegan though. In the early 90s, his band the Screaming Trees were repeatedly labeled the next big thing. On the back of albums like Uncle Anesthesia and Sweet Oblivion there was an assumption that they would follow Soundgarden, Alice In Chains, Nirvana and Pearl Jam to the top of the grunge heap. That they never did must have been disappointing for Lanegan. That he had to watch the likes of Stone Temple Pilots, Bush, and even Candlebox steal what might have been his thunder must have been frustrating beyond words. But so it was to be, with any hopes for the Screaming Trees' excellent final album Dust inevitably crushed under the weight of shifting trends and an imploding band. With Lanegan caught in the grips of some fairly serious narcotic habits, it could have all ended there, with vague memories of an also-ran band and another tragic hero for Generation X . Fortunately, Lanegan harnessed his demons tightly enough to avoid becoming a footnote. Instead he transformed himself into a singer-songwriter and voice for hire, releasing a string of solo albums and undertaking collaborations with the likes of Greg Dulli (of the Afghan Whigs), Isobel Campbell (of Belle and Sebastian) and Queens of the Stoneage. However, while the last decade was primarily spent jumping from one project to the next, nothing cemented Lanegan as a songwriter and performer more than his last solo effort, 2004's sublime Bubblegum. It was an album as good as any released in the last decade, and it saw justice done as Lanegan stepped out of the shadows of his more successful peers and into the role of a critically acclaimed solo artist. The release of Lanegan's first solo album since that career defining moment is therefore cause for considerable interest. Certainly more interest than anything Gavin Rossdale of Bush might have done in the last ten years (Gwen Stefani notwithstanding). In a lot of respects, Blues Funeral is Bubblegum II. It's another slice of gothic Americana, with the same blend of maudlin musings and more upbeat rock n roll moments and and the same inimitable baritone. If you liked that one, you'll probably like this one, and if it's not quite as good, then that can be forgiven, as very little is. Taken on its own merits however, this is an undeniably excellent album. At 47 years old, with a voice that can make anything sound profound and a knack for crafting lyrics that navigate some fairly dark territory, Lanegan could have eased his way through a mature, slow-burning album and it would have been a fine release. However, part of what made Bubblegum so great was Lanegan's willingness to regress (if one could strip the negative connotations from that word) to his grungy roots and introduce a little bit of punkish vigor to proceedings. On Blues Funeral Lanegan again proves that one of his greatest strengths is his ability to draw on his ragged rock past in the same way Nick Cave's best work will sometimes draw on the anarchic fury that was the Birthday Party's stock in trade. So it is that opener The Gravedigger's Song underpins a tale of biblically bad romantic entanglement with a throbbing baseline and guitar squalls that border on the psychedelic. It's not rocket-science, but it's a lot more engaging than your average 'man and his acoustic guitar' scenario. Of course, it's not that more rocking tracks such as the Cult-like Riot In My House are necessarily the best things on the album - early highlight Bleeding Muddy Water eases into a timeless, folky drone that owes little to Lanegan's rock heritage. It's simply that variety, and the convincing manner in which that variety is delivered, is such an important part of what Lanegan does on his solo albums, if not always in his collaborations with other artists. The result is an album that's more exciting than Lanegan's recent (and still well worth investigating) collaborations with Isobel Campbell and it's ultimately hard to imagine fans will be disappointed by anything other than how long it has been since he set sail under his own flag. That said, Blues Funeral not as revelatory as Bubblegum was. There's nothing new here save for a horribly cliched title and some reasonably tasteful electronica inflections. Otherwise, it's really just more of the same from Lanegan. However, while countless other Morrison-esque rock frontmen have threatened to make albums like this over the years, Lanegan hasn't threatened, or wavered, he's simply delivered great music. Again. Regardless of the circuitous root his career has taken, and despite the disappointments he may have experienced, Blues Funeral once and for all proves Mark Lanegan deserves to be mentioned alongside the likes of Nick Cave and Tom Waits – accomplished, established, and finally getting his due. Great review. Agree it's a painful album title but redeemed to a degree by the truly excellent album cover. Yeah, iffy, iffy title but cool cover. It strikes me it is the polar opposite of 'Bubblegum', which had an intriguing but misleadingly lightweight title contrasted with a plain black cover. Maybe there's something to that, or maybe I'm overthinking it. I'm almost certainly overthinking it.